Bernie Sanders was in New Hampshire Sunday for his first campaign event since announcing his 2020 presidential bid. 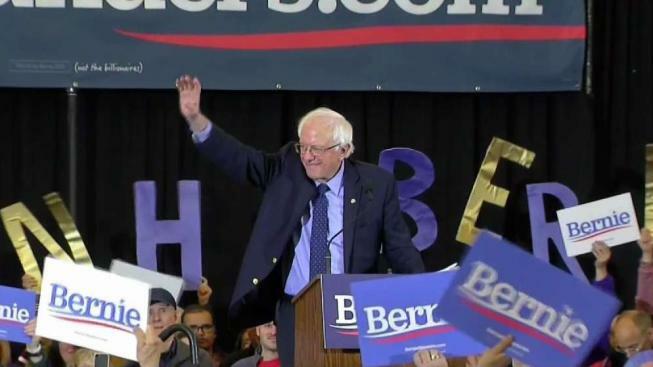 He thanked granite staters for launching his 2016 political revolution and said this time he’s going to win. The Sanders Institute, a think tank founded by the Democratic presidential contender's wife and stepson, is shutting down, at least for now, hoping to quash criticism that the nonprofit has blurred the lines between family, fundraising and campaigning. Sanders was in South Carolina campaigning on Friday. His campaign said he received treatment at a walk-in clinic for a minor injury after cutting his head on the edge of a glass shower door. He received a half-dozen stitches and was given a "clean bill of health," a campaign spokesman said.